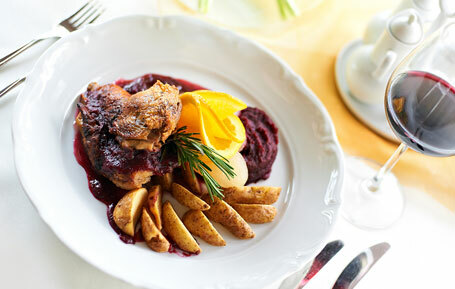 In the stylish interiors of the Manor Restaurant we offer a culinary journey through the traditional Polish and international tastes accompanied by fine wines from the hotel cellar. During winter a cozy atmosphere is made by the fireplace. The original menu created by our experienced chef – Krzysztof Litwinowicz along with the professional service give an exceptional and unique atmosphere of this place. Especially for our Guests we created the Wine Menu to match the original dishes. The guests may continue their culinary pleasures in a green summer garden, listening to the rustle of trees and singing birds. 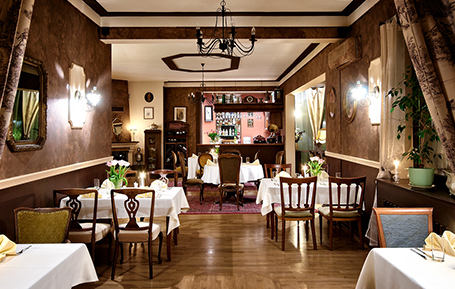 See the Original Menu of our experienced chef - Krzysztof Litwinowicz. 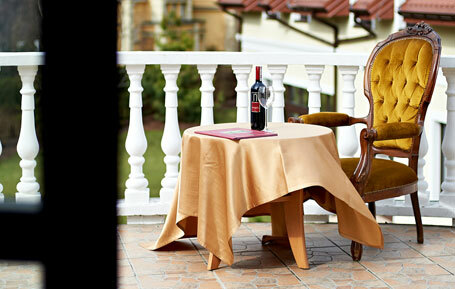 For your comfort, relax and blissful laziness in the hotel garden we prepared two stylish shady arbors and sunbeds. The kids will also find something for themselves – the garden is full of possibilities of fun and games. We have swings, a slide, petanque and badminton.